1. 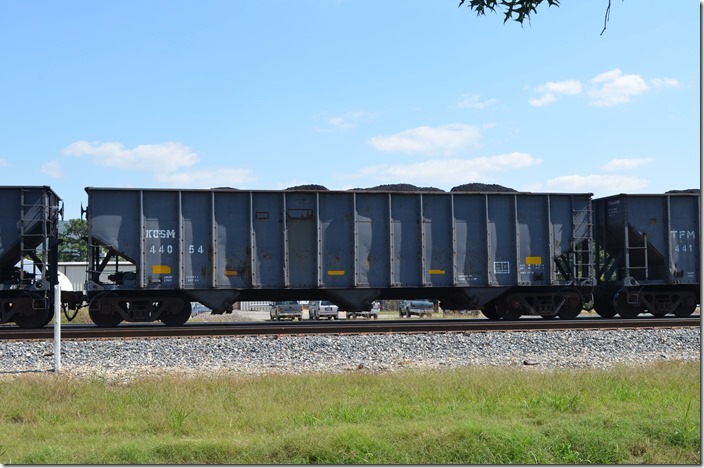 PMRX (Progress Metal Reclamation or Progress Metal Leasing) hopper 840097 at Shelby. 04-27-2014. FCA Roanoke 06-2009. 3744 cubic feet. 2. 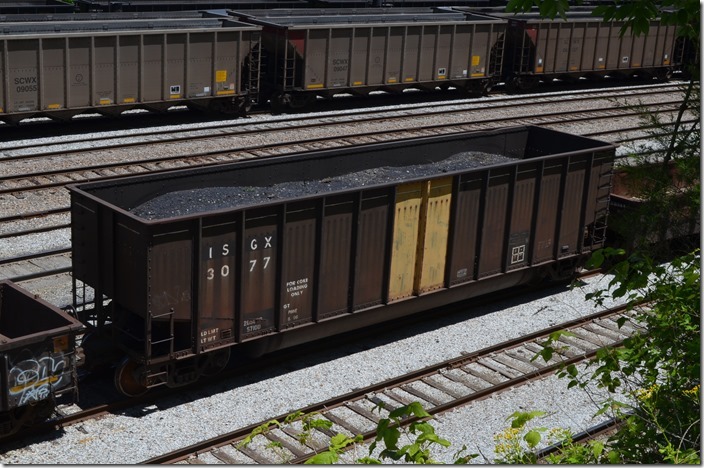 ISGX (International Steel Group now Arcelor Mittal) tub 3077 at Shelby. 05-24-2014. Formerly BSCX (Bethlehem Steel) for coke loading. 3. 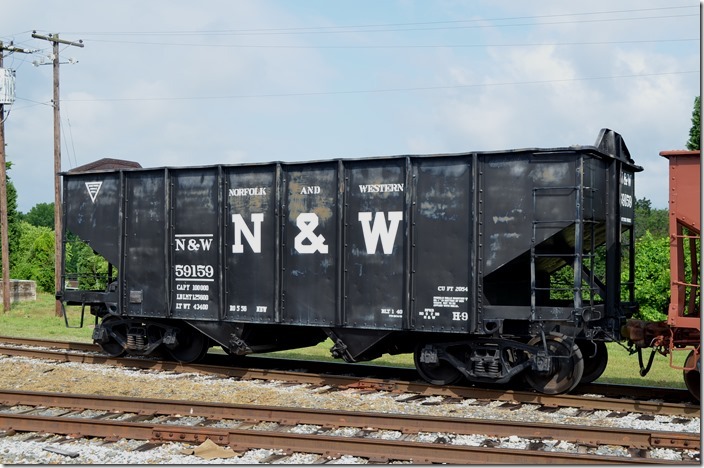 N&W H-9 hopper 59159. North Carolina Transportation Museum. 05-31-2014. 4. Southern Ry. 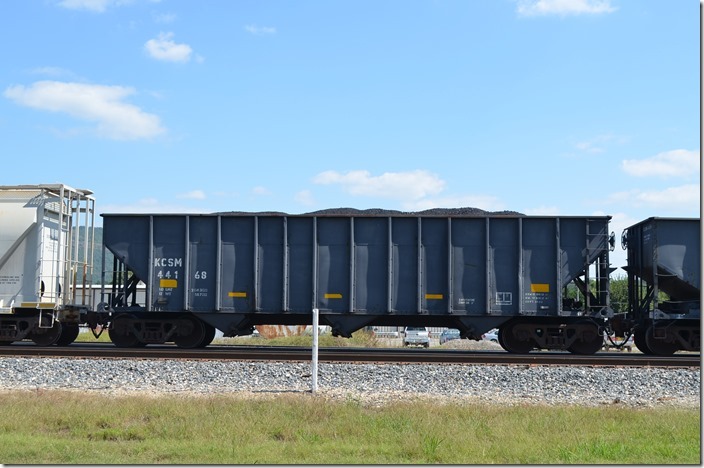 hopper 72043. North Carolina Transportation Museum. 05-31-2014. 7. 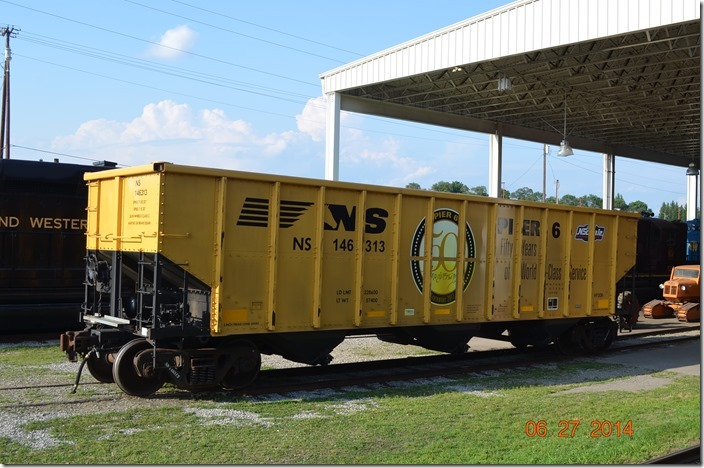 NS hopper 146313. View 2. 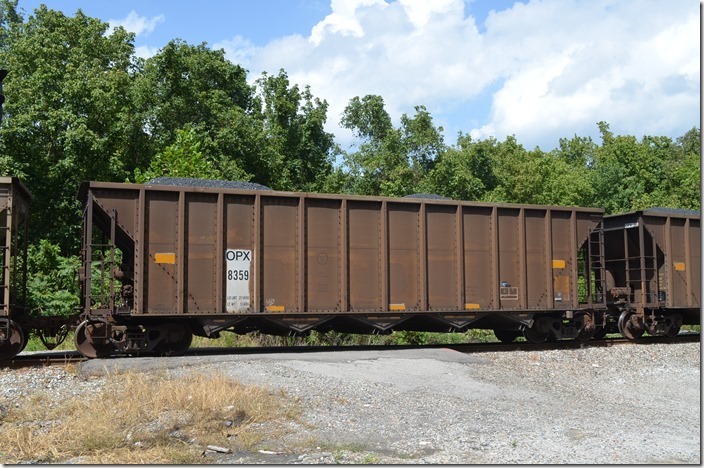 Ex-Conrail. Virginia Transportation Museum, Roanoke. 06-27-2014. 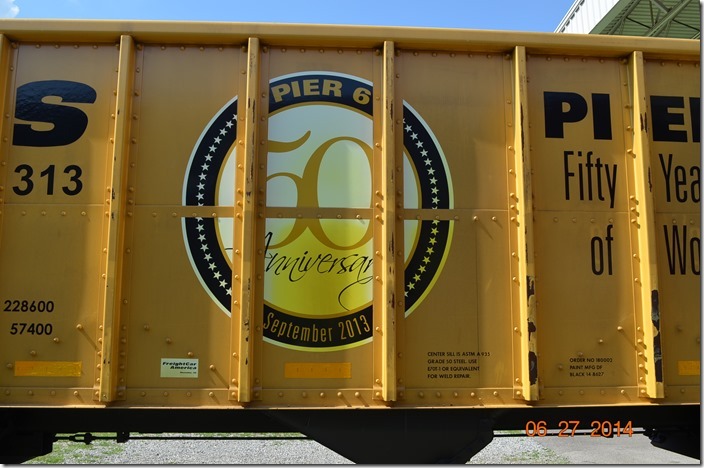 Coal dumping at Pier 6 was down 34% in 2015. 8. 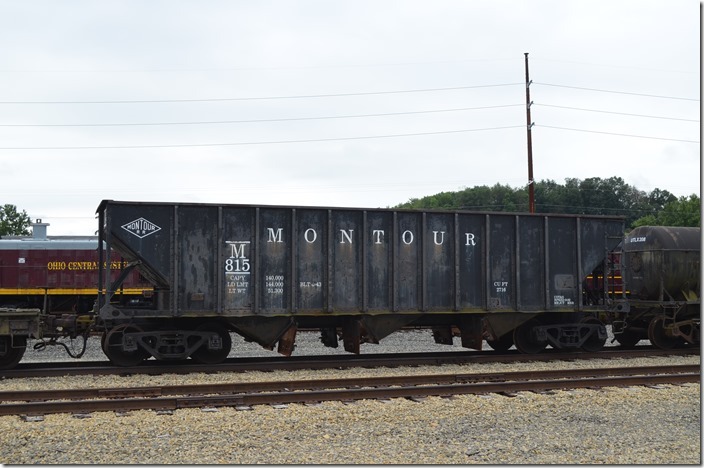 Montour Railroad hopper 815. Age of Steam Roundhouse, Sugar Creek OH. 08-20-2014. Ex-Pittsburgh Coal Co. Built 1943. 9. 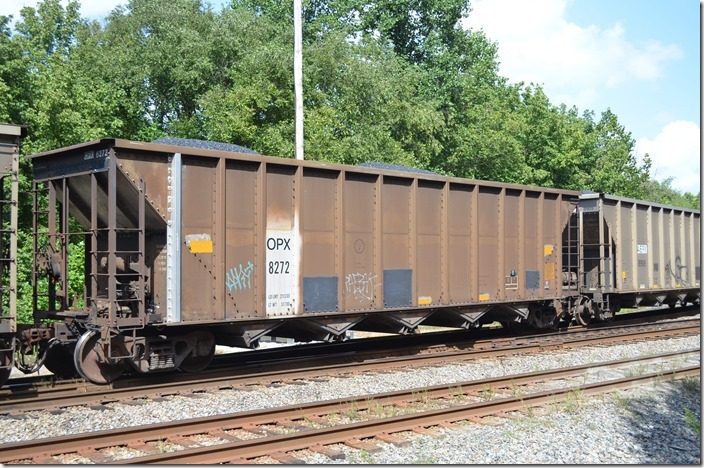 OPX (AEP Generation Resources - Ohio Power Co.) hopper 8272. 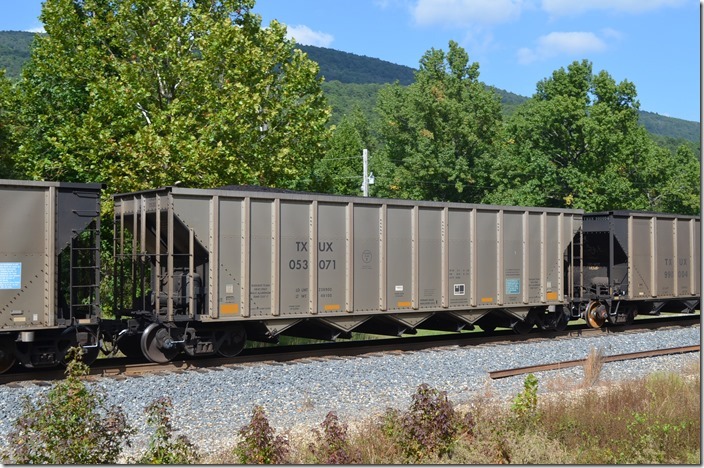 Coal Run Jct KY. 09-01-2014. 10. OPX hopper 8929 leaving Coal Run SD w/b. 09-1-2014. 11. 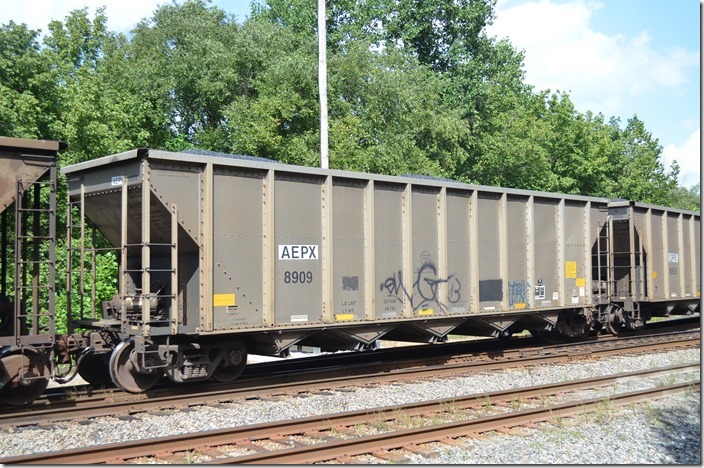 AEPX (American Electric Power Service Corp.) hopper 8909. Built by Trinity. 12. OPX hopper 8359 built by Thrall. 13. 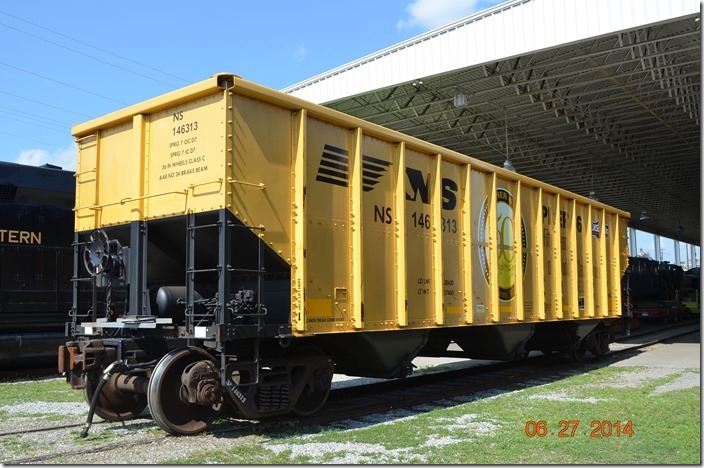 MRMX (Midwest Railcar Corp.) hopper 140084 was built by Trinity. On the Indiana Railroad at Jasonville IN. 09-19-2014. 14. 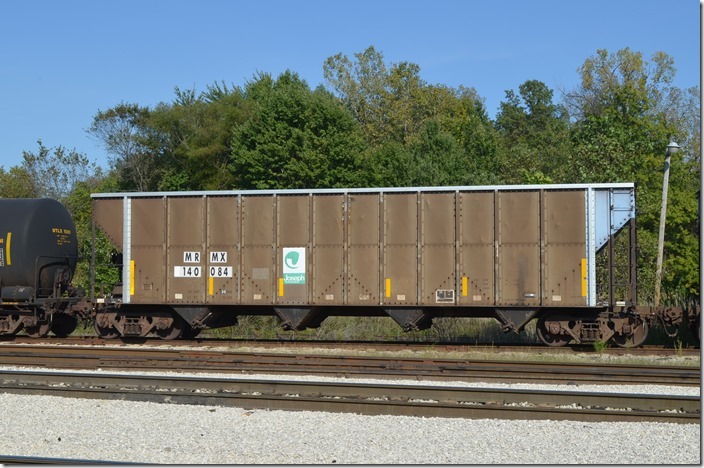 TXUX (Luminant TU Electric) hopper 053071 in KCS s/b freight at Howard AK. 09-25-2015. 15. 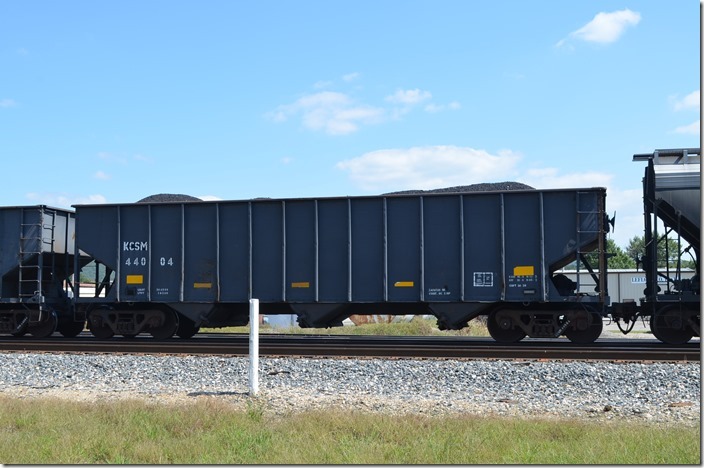 KCSM (Kansas City Southern de Mexico) hopper 44004 has a volume of 3420 cubic feet. Heavener OK. 09-25-2014. 16. 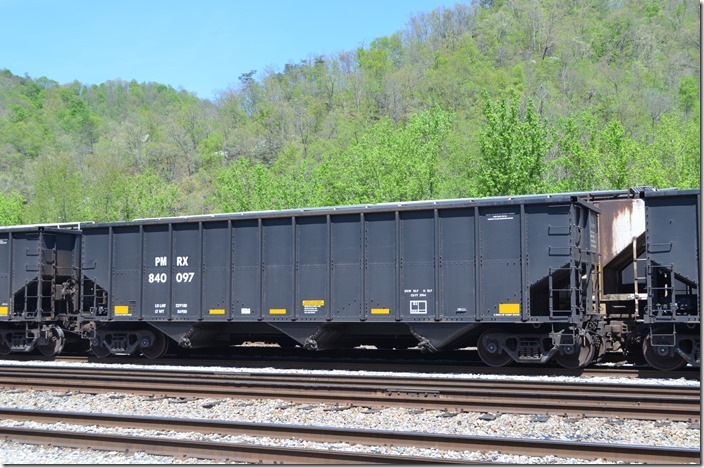 KCSM hopper 440054 also has a volume of 3420. Heavener OK.
17. 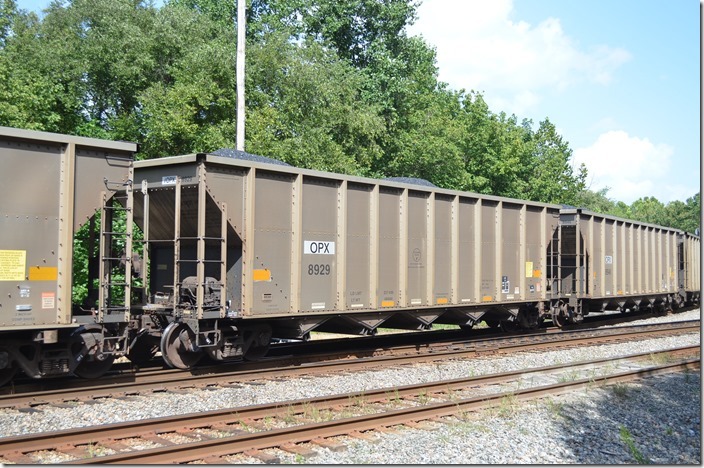 KCSM hopper 44168 has 3433 cubic feet which is common to eastern hoppers. Heavener OK.
18. 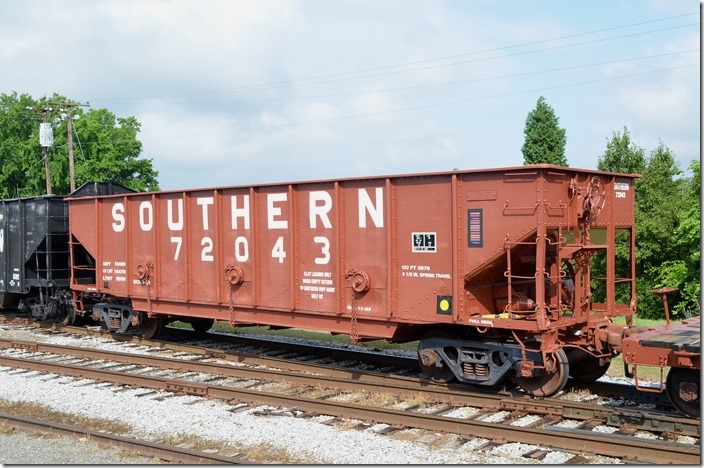 TFM (Kansas City Southern de Mexico) hopper 44209 has a volume of 3433 cubic feet. 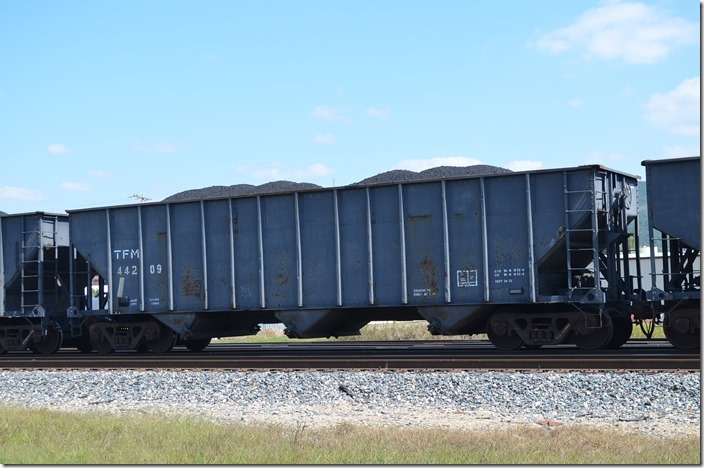 This coal was heading south in the consist of a freight. Heavener OK. I hope these are of some interest. More coming.